Getting around Amsterdam is a breeze with a hop-on hop-off Canal Bus Day Pass. 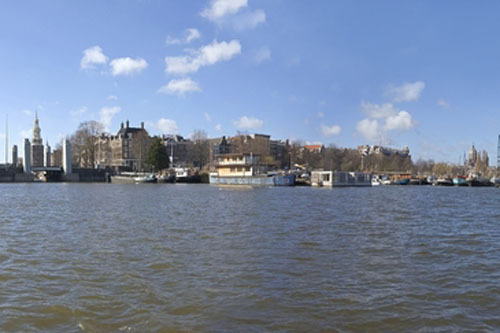 The boats operate a regular service along Amsterdam's canals, following tour routes: the Green Line and the Orange Line. 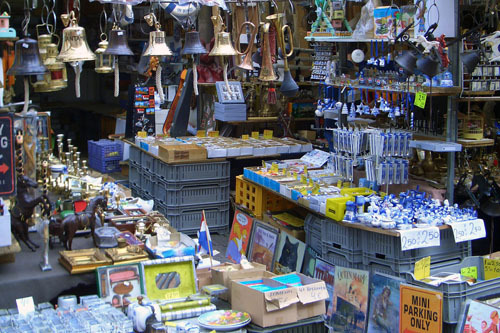 While you cruise, an on-board commentary provides interesting information about Amsterdam. You have the choice of a 24 hour or a 48 hour pass. Hop-on or off as often as you like at 7 to 9 stops (depending on the season) located near Amsterdam's major museums, attractions and shopping centers. Do you want to visit Heineken Experience or the Van Gogh Museum? Amsterdam Canal Bus Hop-On Hop-Off offers optional upgrades to include access to the Heineken Experience or Van Gogh Museum. In addition to the cityâ€™s buildings and canals, Amsterdam has been an important center for European arts since the 17th century, and its museums are among the best in the world. 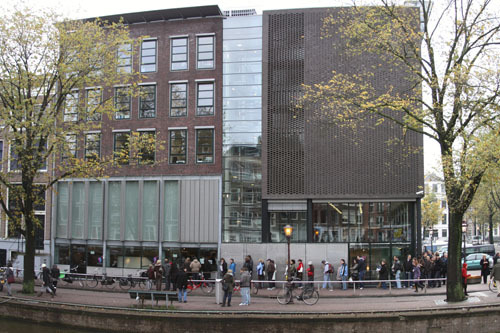 In the Van Gogh Museum, youâ€™ll find the largest collection of the artistâ€™s paintings. And the Heineken Experience is an interactive tour of the cityâ€™s most well-known brewery. Youâ€™ll even be able to brew your own beer! Please click on "view additional info" for the canal bus map. A museum since 1960, the last home of Anne Frank tells the poignant story of a young girl’s experiences of hiding from the Nazis during World War Two. Her family pictures, drawings and writing are displayed in the rooms of the secret annex where the family hid until the ultimate betrayal of the family’s hiding place. The home has been carefully preserved and is an emotional experience, evoking her fears and hopes of the time. Prepare for a visit by reading ‘The Diary of Anne Frank’. This is not the happiest of activities on vacation but a million visitors a year are moved to visit this top attraction in Amsterdam. The Rijksmuseum is the Netherlands’ main treasure-house, a looming late-19th century building and repository of the best of Dutch culture with everything from portraits by the Old Masters (Steen, Rembrandt, and others) to delicate blue Delftware and a vast collection of doll-houses. Other treasures include Tang dynasty porcelain, Golden Age silverware, and Art Nouveau furnishings. With decade-long restoration finally complete, the Rijksmuseum reopened in 2013 – the architects have stayed faithful to the exterior of the red-brick Cuypers fairytale museum, while inside exhibition spaces have been enlarged, new galleries added, and visitor facilities upgraded. The museum also has a small branch at Schiphol airport. Set on a plaza next to the modern city hall and opera house, this open-air commercial market is strong on clothes (from handmade tie-dye stuff to giant rummage piles), but you can also find bicycle parts, smoking accessories, and all manner of odd things pulled from attics of the present and the past. Street carts dole out French fries and other snacks; for a beer and a sandwich, head to De Sluyswacht, a great old bar and café just north across Jodenbreestraat. The walk from Centraal Station is a bit long, but the path crosses very scenic and venerable parts of the city. Beneath the gravestone floor of Amsterdam’s oldest church (consecrated in 1306) and among 10,000 other souls buried there, lie some of the Netherlands’ most powerful figures. Just as remarkable is what’s above: a painted wooden ceiling, which has survived since the 15th century, and a structure largely unchanged since Rembrandt walked its halls. 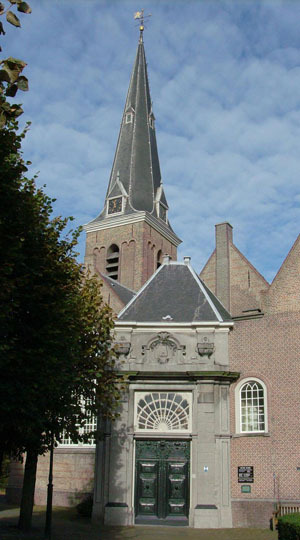 The Oude Kerk hosts organ concerts and art exhibitions, and on weekends at 13:00 and 17:00, visitors can also climb the tower for an extra 5 euros. As interesting as the church is, it is now in the middle of the main red-light district. The home of the quintessential Dutch master artist Rembrandt from 1639-58 gives mesmerizing glimpses into the genius’ life, from the kitchen with its ornate box-bed to the courtyard where he painted the enormous, action-filled The Night Watch – permanently on show in the Rijksmuseum. The print rooms and studios are all crammed with curiosities such as shells, weapons, stuffed animals, and globes that appeared in the background of his works. 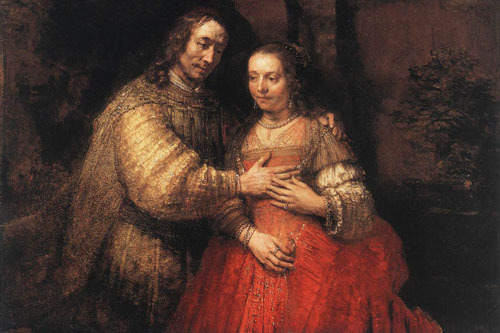 A gallery wing of the house features highlights from a collection of hundreds of Rembrandt’s etchings. 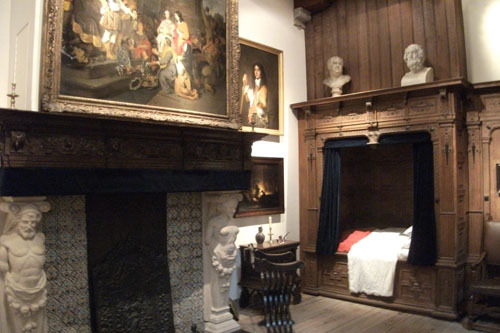 The house itself was built in around 1608 in a new development for wealthy citizens and it was given a facelift by Jacob van Campen, architect of the Royal Palace, in the 1620s. Today we still see his modifications in the classical pediment and arches over the lower windows; recent excavations in the house’s cesspit have revealed glassware and terracotta pots that may have been used by Rembrandt to hold his paint brushes. 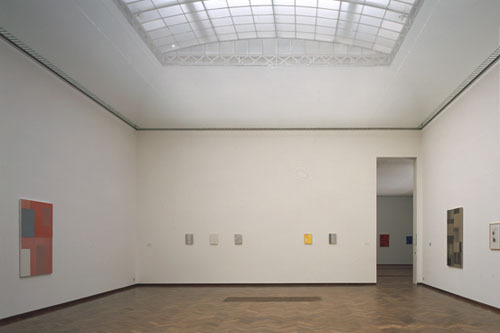 Convenient for visitors, the city’s excellent contemporary and modern art museum occupies digs just a short tram ride from Centraal Station. While its permanent location is still under construction, the museum is hosting The Temporary Stedelijk in the museum as renovation nears completion. The museum also hosts a number of edgy exhibits around town, check the website for details.